GEO is administered by NIFA(Nagahama International Friendship Association). NIFA supports promotion of international exchange activities. The town planning of Nagahama is promoted to live at ease with foreigners. 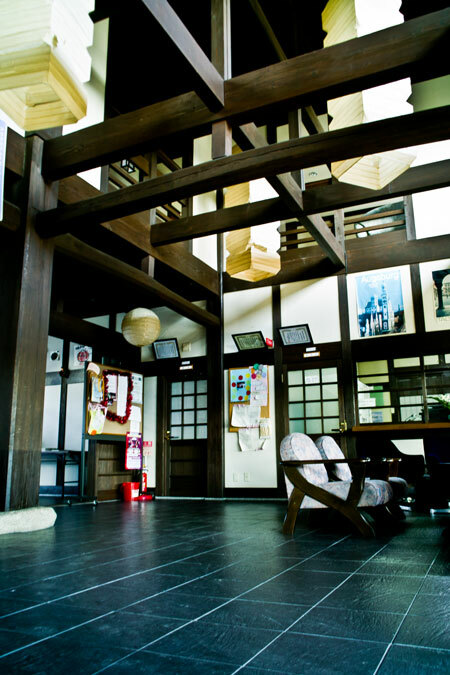 We have 4 rooms, such as conference room and japanese-style room. There are 3 western-style rooms and 3 japanese style rooms. チェックイン　Check in : After 3:00P.M. チェックアウト　Check out : Before 10:00A.M. # Applications are accepted from 6 months prior. There is parking of 5cars in front of the house.